Pure romance. That's what people say about Petite Auberge, a charming European-style boutique hotel that combines luxury and charm in a stylish historic building. 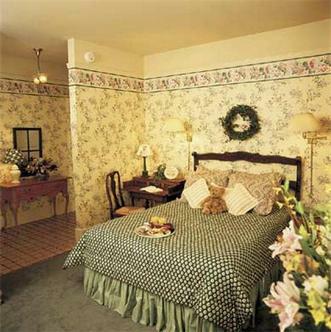 Petite Auberge, a 'small inn,' welcomes guests to a world of provincial enchantment. French doors with beveled glass, a collection of French art, a cozy parlor with a crackling fire and an afternoon wine and hors d'oeuvres await your arrival. A dedicated staff provides assistance in experiencing the city's best. A delicious breakfast is served each day in the dining room where a mural of a French market scene graces the walls. Don't miss the cookie jar in the lobby that is filled each day with a freshly baked treat The whimsical French feel of the inn continues in the 26 guest rooms with their inviting beds and carved armoires. All rooms have a private bath, voicemail and data port, and many feature fireplaces. Honeymooners might want to select the Petite Suite with its private deck, hand-painted king bed, spa tub, champagne and chocolates.